THE CHALLENGE OF CREATIVELY THINKING TRANSLATED IN WORDS, AND THOSE WORDS TRANSLATED INTO YOUR SUCCESS. STRATEGY, CONCEPT, IMPLEMENTATION AND PRESENTATION. NO TEACHERS. HAVE AS MENTORS THE BEST MARKET PROFESSIONALS. DO, REDO AND DO AGAIN. THIS IS THE SECRET OF BEING A GOOD WRITER. WORK WITH THE MAIN BRANDS, WHILE YOU ARE STILL IN SCHOOL. GLOBAL PERSPECTIVE: THE OPPORTUNITY TO STUDY AND DO INTERNSHIP IN THE AGENCIES IN THE WORLD. Start Your Copywriting Career In Sao Paulo. Are you a friend of words? Do it again. Do you enjoy writing? Do it again. Do you like writing? Do it again. Redo. That’s the secret of a good copywriter. Here, liking writing is not enough. You need to enjoy rewriting. You need to like the challenge. You need to like real life. In the Copywriting course, you find all this: challenge, real life and, of course, a lot of redoing. But be sure: you will leave prepared to conquer what you want. Here you will learn how to think and make smarter, not only creative, but effective campaigns. You will also learn how to work as a team so that, together with art directors, you create great ideas. And of course, since you love to write, here you will make titles, texts, spots, scripts, product descriptions, social media content and more. And present, you know? Every creative should develop this skill, so you’ll stand in front of teachers and classmates to explain your concept and showcase your ideas. 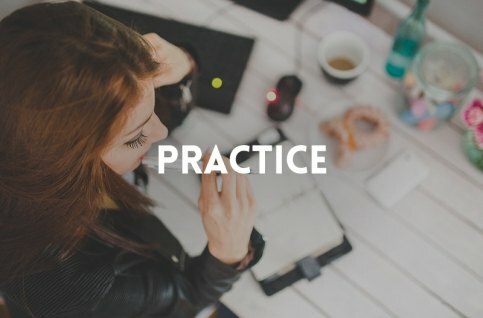 This practice will prepare you for a successful career. The copywriting program is a two-year (8 quarter) program. Each quarter is 10 weeks in length followed by a break. There are 1,200 classroom hours, with 4 classes per week, from 7:30 p.m. to 10:30 p.m., and there may be classes on Saturdays, from 9:00 a.m. to 12:00 p.m. or from 1:00 p.m. to 4:00 p.m. Tuition of R$ 9.435,00 is due quarterly. It takes eight quarters which is 2 years to complete the copywriting program. Total tuition cost for the program is R$ 75.480,00. Miami Social School is available to students coming from social classes of lower income. To live near the school, the cost of accommodation it’s about R$ 3.000,00. The cost of feeding it’s about R$ 1.000,00. All the classes are taught in portuguese. But it is important that our students speak english, so they can participate on the international awards. Through the Quarter Away, in the 6th quarter of the two-year program students can study or intern in an advertising agency or company. This allows students to apply the skills they’ve learned, expand their network of industry contacts and get real-world experience. 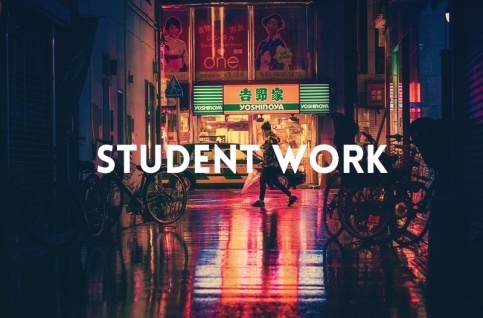 Look at the Internships section of the website to see the different options and read stories from our students about their amazing experiences. 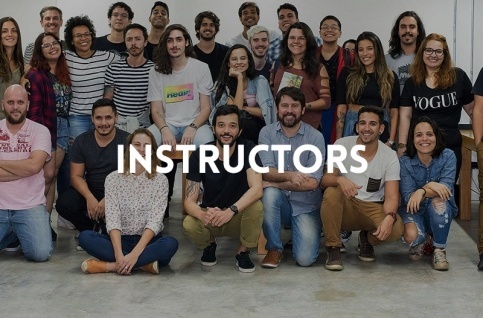 And through the Quarter Brazil, in the 4th quarter of the two-year program students can study or intern in an advertising agency or company in Brazil. This is a two year diploma program with the primary purpose of developing a professional portfolio through classes and real-world experience to gain the skills needed for an entry level position in the creative industry. Graduates have the opportunity to attend portfolio reviews and interview with multiple agencies, design studios and companies. 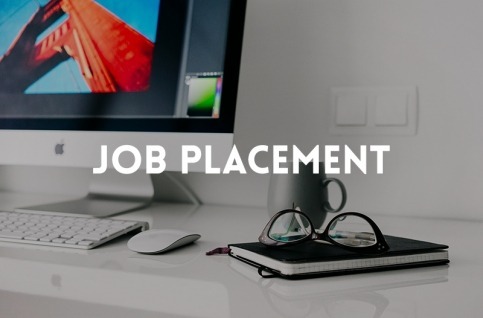 Miami Ad School also supplies graduates with job leads throughout their career. Our institutional graduate placement rate is near to 100%. 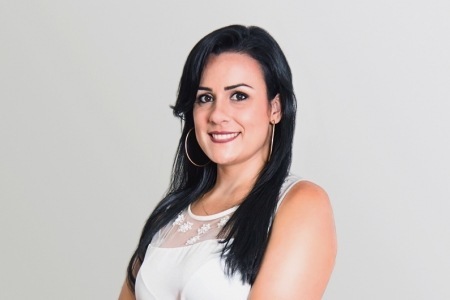 The starting salaries turns around R$ 2.500,00 for junior copywriters. But it depends on the agency/company and the benefits included. Have A Question? Just Email Me. 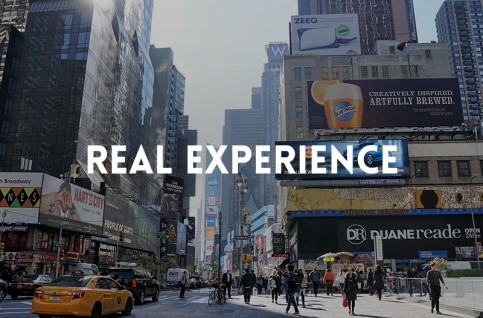 Live a great experience. The student, during a quarter, will coexist with planners and students will assemble together communication strategies and development of concepts and campaigns in a large marathon. In addition to the creative teachers, the student will have the opportunity to socialize with great planners of the market. Work hard. You will not only think of formats: prints, banners, movies. You’ll think of a BIG IDEA. Something bigger that can multiply in several platforms without losing the strength or the brilliance. You will understand that today all communication work is integrated. All actions talk to each other and are not just adapted copies. There is even a category at the Cannes Film Festival for this: Titanium and Integrated Lions awards. The world of ideas is not limited to traditional campaigns. Today the customer expects you to have ideas that will improve his business. Bright, fresh ideas and the consumer get involved. The student will think something that can add to the product and that, from this idea, an integrated communication platform is created. The truth is that most radio spots (yes, commercial radio is called spot) is not very good. But when the radio is well used, it is very, very good. Radio is also a powerful medium and a great workout for a young writer. Let’s show you how to find your voice for this media, how to write dialogues, when and how to use humor, how to use sound effects, how to create a jingle and how to write economically. And you will still think new formats, new ideas, will think, for example, a radio program. At the end of classes, the three best pieces will be produced in a sound producer. A creative can not feed itself on advertising alone. The world is full of influences and the creative industry is huge. Let’s talk about pop culture. More and more propaganda and pop culture mix. More and more advertising wants to be part of the pop culture of a society. You have to move to produce pop culture for brands and products. And what exactly is a pop product? We will deepen this discussion and investigate various cultural and artistic phenomena, from comics to cinema, from literature to music. Part of the class includes guests as musicians, entertainers and cartoonists, who share their practical experiences with the students. The on and off world are increasingly in a single world. And every creative has to learn to think ideas, no matter the means. Here, the student will learn the balance between conceptual part and technical part. You will understand the scenario of communication: how it was and where it is going. Types of digital interfaces, digital technologies (Double Screen, Augmented Reality, VR), forms of internet advertising, such as simple banner with interaction, richmedia, email marketing, hotsites, websites, social networks, canvas, sponsored links and what more has been invented. Nothing is as talked about, as celebrated in today’s world as social and mobile media. No one today’s self-respecting customer can stay out of social networks. Meme, Influencer, SAC 2.0 (consumer voice), real time campaigns. You will study award-winning classical cases, learn to have ideas using social media as a trigger for something greater. You’ll also understand that mobile is the 21st century media. Apps, Geo Location, Consumer Habits, Trends, Big Data, and Remarketing. You will learn to think mobile first, from creating an application to using mobile in a larger context. Your ideas in the hands of people at the right time and place. Creative Technology combines creative and technical skills to create innovative and high impact projects. You will have the opportunity to learn and experience different concepts and technologies that will help you to design and implement your own ideas. You will also immerse yourself in privacy, information security, accessibility, diversity, human-computer interaction, usability, software, hardware, data, and, finally, prototyping. Here you will understand that it all starts with learning to have ideas. Of all sizes and formats. He will learn writing techniques: text and title development. It will take the first steps on conceptualization. And the main thing: begin to develop a criterion, which will help you to distinguish what is a creative work and what is not. And, of course, it will work hard. Writing a screenplay is to think the idea in motion. A creative narrative based on an action. Today, to write a creative script we have countless solutions. It does not matter if it is TV commercials, movies or other screens like cell phones and computers. What matters is: do you have a great idea for a movie? So come explore your writing side, understand the different narratives and train how to tell an idea in public. Like Elvis, the titles did not die. Dig deeper into print media and study in detail how to make a good title. Today, who knows how to make titles has become an object of desire in big agencies. Copywriters who shine with visual ideas, also dominate titles like nobody else. Be one of them. And do not even think that creating two, three titles will suffice. The rule of the game is: do more! Presenting ideas is as important as having ideas. Learn to present your work better. Making a board well done, just like the agencies sign up for the big international awards. How to create a videocase? An integrated campaign today needs a good board and a good presentation video. Learn about basic photography skills: how the camera works, lenses and what type of film to use for different types of conditions. Learn to use the camera for creative viewing. We totally discourage the use of photographs from banks of images. The student should become a good photographer and never rely on a catalog of photographs taken by other people. Today, the gaming arena yields more money than all the major Hollywood productions combined. This is an audience that can not be overlooked when looking for new channels to deliver messages. We will cover concepts of games, boardgames, advergames, serious games and ARGs (Alternate Reality Games) as tools of communication. The classes will be expositive, with case analysis, group discussions and some exercises in laboratories. You will learn the concept of raster image through the use of Adobe Photoshop program. Resolution, size, size, color depth, editing techniques, image processing and illustration. Theory of colors, production for electronic media, are some topics covered. We will merge technical concepts necessary for the student to acquire the understanding of the application with the practice of the software, learning to seek their own solutions for the execution of their ideas. You will also learn the concept of vector image through the use of Adobe Illustrator and InDesign programs. Beginning with the study of drawing and illustration, the student learns the principles of vector editing (anchor points and vectors) and illustration techniques using the Adobe Illustrator program. After presenting concepts about print media and editorial production, the student learns the basic techniques of desktop publishing with the Adobe InDesign program. Fall in love with typography by studying the history of print types. The important stylistic developments of the great old and current type designers are the basis of design with types of printing. Creation with production vision. You get information about storyboards, camera technique, sound effects, music, basic editing understanding, and how to plan a pre-production. And, after all, you still have to think of brilliant ideas from scripts and produce them. Let’s get you a creative who knows how to give your opinion and help a movie director in the production of commercials. How much do you know how to write a text? Are you one of those writers who only think of concepts? Are you one of those writers who think consumers do not read texts? So get ready to review your concepts. Parts with great texts win Cannes, D & AD, One Show. Get ready to know the power of a well-crafted, well-constructed, well-designed text. Yes, text is drawing, it is carpentry with words. You will learn how to campaign with texts that everyone will want to read, including you. You will understand the importance of thinking visually. Be it from the point of view of the idea, or from the point of view of execution. It will be presented to the universe of art direction and its possibilities. Print, board, digital, everything has art direction. Will understand the visual evolution that has been going through our industry. You’ll meet classics. You will know the future. And prepare for it. Here art directors and copywriters work together. Okay, you already know the basics. Now he will suffer to overcome himself and have very good ideas, above average. Brilliant ideas on content and execution. May they fill the eyes of the hardest creatives. Once again, art directors and copywriters working together. But it’s the art directors who are going to be charged for visual excellence. What is a strategy? Brand strategy versus creative strategy? Why is it important to understand a strategy? Increasingly the creative has to understand planning and organizing a reasoning. You have to make your way before you create. Do you want to be creative? So it’s all about you. Stand-up presentations have won the world. They are great humor texts well built and well presented. This format that was already successful in the United States, is also a success in Brazil. Stand-ups are true lessons for anyone who likes to write and has everything to do with copywriting. You will take classes with an expert in stand-ups, know the techniques, create your own stand-up and present live. Get ready to drive the public into delirium. The student will work and produce more sophisticated pieces than at the beginning of the course. More professionalism will be required in the elaboration of creative concepts compared to that of large agencies. That brilliant title, that killing campaign. We will not settle for less than that. Here you will learn how to write to the most diverse web formats. And you’ll like it. Much. Today, the demand for writers who understand the virtual world is growing. And paying better. Our test of fire. You will study winning ideas and why they were awarded. And as a class exercise, you participate in major international student competitions. Our students have already won several international awards. It’s your turn. Is it a big challenge or not? In controversial discussions about the survival of TV commercials and double-page magazine, there is a need to explore other ways never before thought media. Here, your creative idea will go to places where she never thought of being. Thinking outside the box: that’s the job. Agencies are increasingly building enduring digital platforms for their customers. For such digital products to be created, there are techniques derived from Interaction Design to assist the creative in this process. Among the topics taught in the course are: research and synthesis methodologies, design thinking and design strategy, ideation processes geared towards the creation of digital products, as well as the main concepts of information architecture and usability. How to tell a transmedia story that unfolds across multiple platforms? How to make the brand create its own content with the participation of its fans, thus spreading its own history? Let’s see great success stories, learn to think for various media, and meet professionals who are creating and producing story-telling transmissions for their clients. You have reached the end of the course. Let’s evaluate your two years of school and select the best pieces that will make up your portfolio. To select, by the way, is also to make new pieces. No one leaves school without a portfolio, at least, great. It’s the rule. It will be much more arduous than you think. The goal is to develop a portfolio that honestly reflects your skills and strengths. It’s the overhaul, a check-up of everything going well or if we need to change anything. 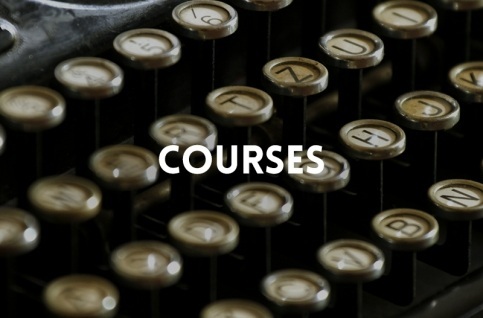 We work with very small classes with a writing supervisor or art direction. What’s more, in addition to portfolio orientation with a super creative, you’ll have a lesson with a headhunter who will give you tips on how to introduce yourself to the market. There will also be a class on how to put personal projects in the portfolio. And you will have the challenge of Ultimate Briefing. The final project for you to close the school with a golden key. We invite a great creative from an award-winning agency to spend your last job. You will have to approve your ideas face to face with this creative. And in the end you will present your portfolio in an event that mixes portfolio night with graduation.